South Carolina may be the homebase for their travels, but Jo and John Fesler haven't let themselves gather too much SC dust since they've retired. Since 2015 they've taken two trips across the US of about three months each, and have also taken additional trips to Ohio and Tennessee. Their travel rig is a Rustic Trail Teardrop Campers (RTTC) Pappa Bear (RTTC's smallest model), which they pull with a Toyota Sienna van. "We have had no problems towing our camper and we have pulled it over 20,000 miles!" The Feslers have owned their Pappa Bear for three years, buying it after researching several different brands. What attracted them to the Pappa Bear was its price and the teardrop's design--it has some floor and counter space, whereas for many of the others they looked at, "You just had to crawl in onto the bed." Their earlier camping experience had been tent camping from over forty years ago when their kids were small. 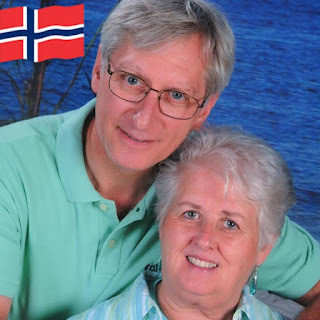 "My husband John was ready to retire, and we were planning a cross country trip. We thought we might try tent camping along the way. We bought a tent, went on one short overnight trip to try it out, and decided that was for younger people (and of course it rained on that one trip)! We started looking around at teardrops and discovered that was the perfect option for us." The Feslers have traveled with their teardrop on many trips, which if added up would come to about seven months on the road. "We mostly like to travel fall until spring and usually not much in the summer when it is too hot." During their two trips across the country from one coast to the other, they have spent the night in quite a few different kinds of places. 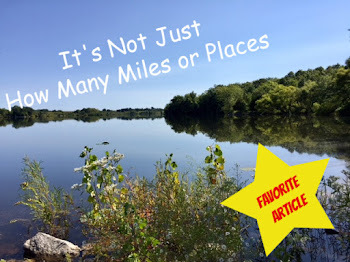 "When we are traveling, sometimes we will just stop at a WalMart (checking the ONP App - WalMart Overnight Parking) for a safe and accepted WalMart location where we can just stop along the way, get a good night's sleep and move on in the morning. We have probably stayed at a WalMart 30 times or so on our trips. It's quick, no set up involved, no unhooking and we're back on the road first thing in the morning. We have done the same thing a few times at casinos - another location that you can safely park at for free. 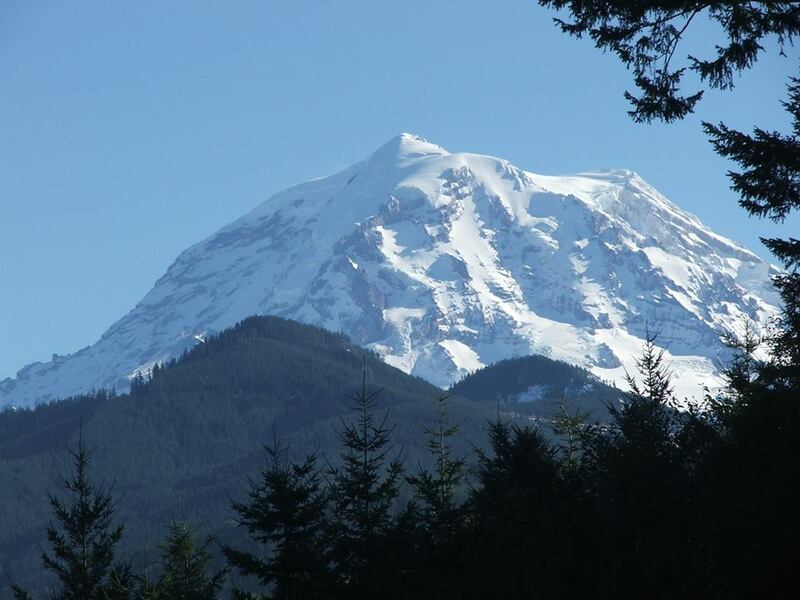 We normally stay at a campground when we reach a destination we want to stay at, normally for only 2-3 days, see the sites and on to the next spot. We've stayed at KOA's, state parks, Army Corps of Engineers, and also many Passport America campsites that we stay at for 50% off. Some of those have been excellent for very low cost. We've also stayed at some private homes using Boondockers Welcome - another camping membership group that lets you camp on their property. We've met some really nice people with Boondockers Welcome." 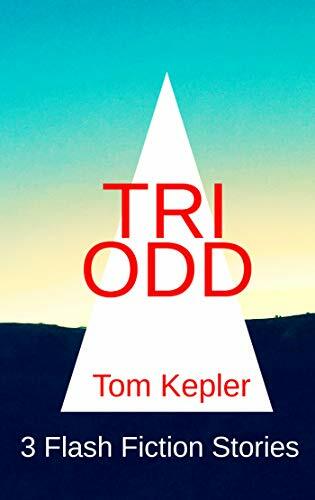 One adventure they experienced was in Grand Junction, Colorado, where they were snowed in for three days and then "had a harrowing 50 mile drive over the mountain in dicey conditions until we got to Albuquerque, New Mexico." After being stuck in Grand Junction for three days, they thought they had already passed the worst of the snow but discovered they should have stayed for another day or two. "The coldest place in all of our travels was in Florida - we had temps of only 16 degrees! We never expected that! We got caught in a dust storm traveling through south Texas - another harrowing experience - we got 3 chips in our windshield from rocks on that ride! One of our favorite things on the last cross country trip was when we parked our camper for a week and volunteered for the week between Christmas and New Year's to decorate a Rose Parade Float. That was an involved and exhausting experience, and we stayed in a hotel for that week and picked up our camper after the week was over (and we attended the Rose Parade on New Year's Day in Pasadena)! 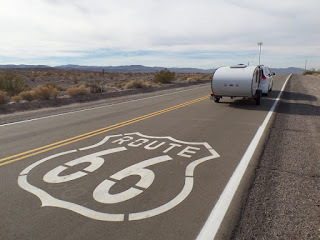 Another really memorable trip was travelling Route 66 from Miami, Oklahoma, all the way to Santa Monica, California, staying as much as possible on the actual Route 66 road, travelling through all the small towns on that route, and many of the iconic sites on Route 66!" ". . . a real vintage look." There are a few modifications the Feslers have made to their trailer which have made their adventures more enjoyable. "We added a solar panel to the roof of our teardrop and a Gel Battery to store the power. That has allowed us to stay at places along the way without power. We have added a microwave, induction burner, coffee maker and tv and dvd player in our small teardrop. The TV and DVD are nice when we park at a WalMart and we can crawl in and watch a movie before falling asleep. We also added some graphic decals in teal blue to the sides of our camper, and painted the fenders and front rack the same color, plus added moon hubcaps for a real vintage look." As you can imagine, when traveling in a teardrop for such long distances and time, two people traveling together will either learn how to spend that time well . . . or will stop traveling! Here's some advice the Feslers learned from their travels. "Buy an induction burner as an added cooking option - we've even used ours cooking inside the camper during bad weather (really important when you're on the road for several months because it does rain and snow sometimes (many days at a time even...). We have a foam bath rug on the floor at the door which makes it easier to crawl into the camper (soft on the knees) and keeps the floor cleaner. Understand that a teardrop is small so you have to be willing to adapt to being in a very small space. 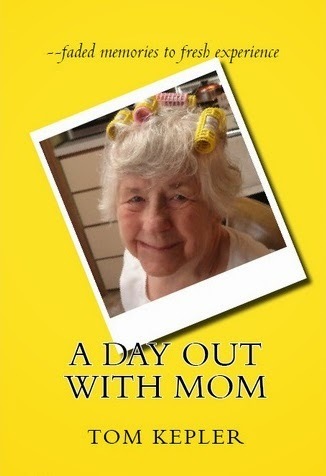 You also have to get along great with your spouse, being in such tight quarters. 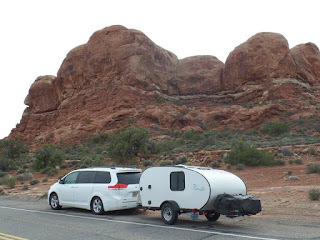 A teardrop is much easier to tow and can get into areas that you can't with a larger trailer. Plan your trip so you know in advance what you want to see, but don't be real rigid so you can also wander and explore, or even change direction along the way. We never had campground reservations along the way and just played it by ear, often calling or looking online for campgrounds to stay at for the night. What's nice about a teardrop is that it is so simple to park and set up - we have watched people with big campers spend lots of time getting parked and going through all their set up, leveling, hookups etc. We are usually parked and set up, hooked to electric, all in about 10 minutes." 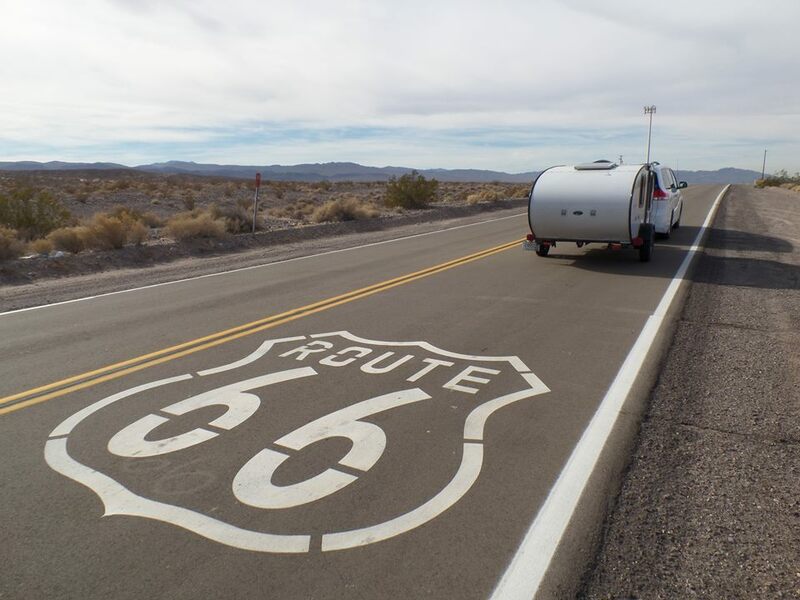 As successful veterans of the road trip, the Feslers plan this fall to finish their Route 66 trip from Miami, Oklahoma, to Chicago. Traveling across the country through the northern states all the way to Washington state is definitely on their list. In 2019 they plan to make a trip up the east coast to New England to view the fall leaves. The Feslers are living the life that many just dream about. We wish them many more happy miles. A video slide show of their travels is posted on Facebook. Let's see how this goes. . . . We camp to get back to nature. A cellphone is human-produced, so it is not a part of the natural world, like a trout or a stream-polished stone. Therefore, when we camp, we all turn off our cellphones, right? Not exactly, especially for folks who want a slice of nature but still have to work--and can work--online, such as my wife. So what I'm doing right now is sitting at the table inside the Green Goddess, parked in Oakland Mills County Park, Southern Shore Area, working on the internet to see if the signal strength is adequate. It was not until I connected my WeBoost signal booster. Even then, I could not connect until I went into my settings for "Cellular" and then under Cellular Data Options selected Data Only instead of Voice & Data. I was told this used 3G, which travels farther than higher number G's. I'm not sure if that's necessary, though, because I just switched back to Voice & Data, and there seemed to be no difference. The quickest backing I've ever done! The South Shore Area is a nice little spot. This time I've chosen a site with afternoon shade. It's not right next to the river. Later in the season when it cools, I'll camp by the river and in the direct sun, which will be dandy in the fall. There's a bridge across the river, a newer campground up the bluff, a nature center, an old dam (for the old mill?) and some good shade. Well, I'm back, and the Crusaders are successfully ensconced in site #2. (I'm in #4.) I walked a bit up the hiking trail to the Top-of-the-Hill Area, the newer campground. 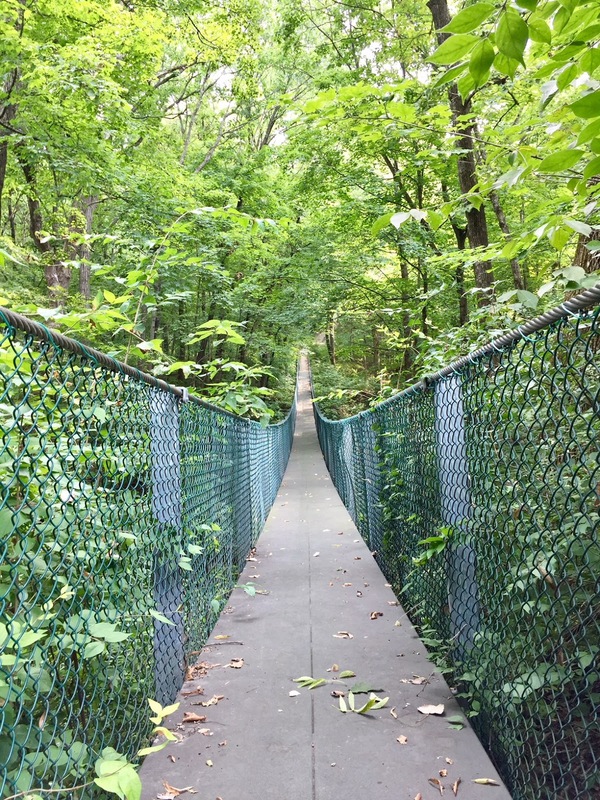 I crossed the swinging bridge on the way back, which was fun. It is 90 degrees today, but there is a bit of a breeze, and since it hasn't rained for a while, it wasn't too humid. As I came back, both campsites 1 and 2 came out to chat. Camp #1: "You gotta shower in your rig?" Me: "Well, I've got a water bottle and a sponge." Mostly we talked fishing, though. The family will spend all night fishing for catfish. Bait: nightcrawlers, stink bait, chicken, and a couple of other things I don't remember. Nice guy, and I wished him luck. Me: (to Camp # 2) "Wow! I see you parked that baby!" I'm back on the internet writing this post on Blogger to see how fast the iPhone Hotspot is. I have mostly one bar, but I can work. Photos emailed and uploaded process more slowly. I Facetimed my wife, and the result was that she could hear me but my image lagged or froze. Conclusion? This campground doesn't have enough signal for reliable work for a business. It's the next morning. Last night I didn't unhook the teardrop because I was perfectly level, and I was also planning on leaving this morning. After dinner, I cleaned up camp, put things away, got out food for breakfast--in other words, I had 90% broken camp. I changed my plan this morning. Oakland Mills is about 20 miles southeast of my home; I had been planning on checking out Lake Darling State Park, which is about 20 miles northwest of my home. I decided to revisit two campgrounds more close by: Wilson Lake and Bentonsport. About twenty miles to each, I'd loop my way to home, catching each campground at twenty, then forty, and then another twenty or so home. Wilson Lake Campground I already knew had good reception, but I wanted to double check and also make a video of the campground for my wife. Yes, I was right--three bars even without the signal booster. This would be a good site for the mobile office. The lake isn't visible from the camp, but it's close by. Bentonsport is an old, tiny town on the Des Moines with a lot of history. Now it's one of the "Villages of Van Buren" County, and a nice, quiet place to stop. I've camped there when bike camping, and on weekends during the summer, there's a little ice cream/sandwich shop, which I took advantage of during my pedaling adventure. I pull in on this Monday morning, and the campground is empty except for the camp hosts and one small (not tiny!) trailer. My phone has one bar of signal strength, but when I hook up the booster, I have two bars. I decide to go right to the acid test and Facetime my wife--great interchange, no lagging or freezing. OK, now we have another site for the mobile office! So what's camping without cellphone receptivity? 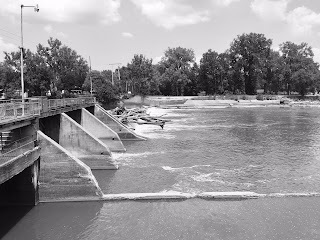 It's fishing for flatheads all night, sitting by the muddy waters of the Skunk River. It's hiking the nature trail just after lunch, climbing the steep trail out of the river bottom and onto the bluff, the sedimentary rock of the trail angular yet firm to foot. It's walking around a cold water, spring fed lake, or it's sitting beside the river and watching time flow by. Glamping, now, is returning to my air conditioned Polar Bear teardrop, turning on my signal boosting device, and writing this post while connected to internet. Out my window, I can see the muddy waters roll on by, this time the Des Moines River. It's a good day. Is this glamorous camping? I'm not sure, but it sure is cozy. If I'm glamping, I'm doing it with a lower case "g," and you know what, that's perfectly fine with me. 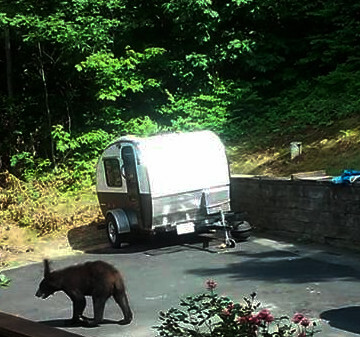 "Why did you buy such a tiny trailer?" For many owners of teardrop trailers, the answer is obvious. 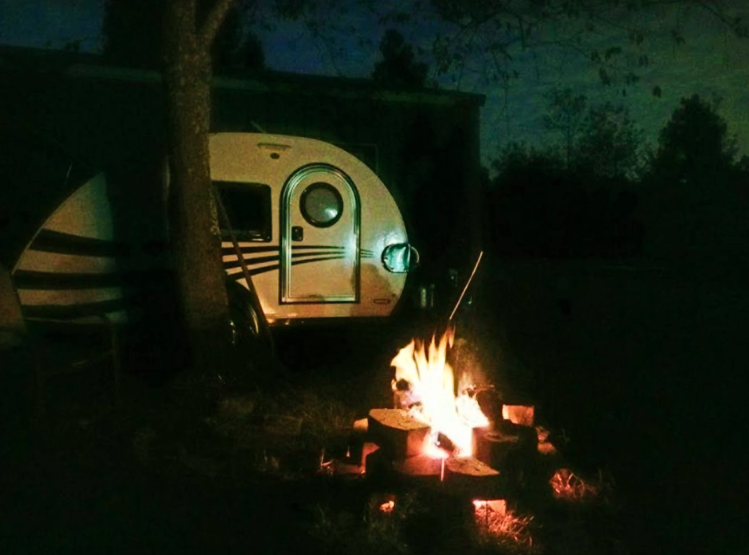 However, much of the fun and satisfaction comes with the 'splaining, so I asked owners of teardrops trailer by tapping into a Facebook group, the Rustic Trail Teardrops Camper Owners Group. As I read responses to my question, little aha! lightbulbs went off inside my head. "Oh, yeah, that's right. . . . That's true. . . . Well said!" My last blog post listed my reasons for buying a tiny travel trailer. 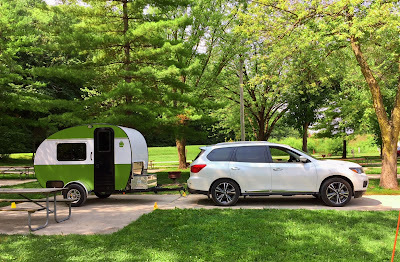 This post is dedicated to the ideas and words of other teardrop owners. Bottom line--the reasons why I bought a tiny trailer, it ain't just me. Motivating factors for purchasing a teardrop included comfort, simplicity, and lifestyle. Folks are comfortable in their teardrop campers, and that comfort zone includes both physical comfort and safety issues. Michael from Georgia summed up the joy of being physically comfortable in a teardrop by saying: "A comfortable bed in a climate controlled (dry, cool or warm) environment when needed, but always a comfortable dry bed." Teardrops are mostly bed, comments including the ease of "a bed on wheels with space to come in out of the rain" (Diana from Vermont), and, speaking from experience, Karen from North Carolina: "Had the big boys all sizes from pop-up to 31 ft travel trailer..... comes down to the purpose of camping ....being in the outdoors.....so why a big camper when all you need is a bed ...RTTC campers gives us exactly what we need .... comfortable bed, air conditioning, cabinets and a place for my TV....that's all I need, everything else I use when camping is outdoors." Some owners voiced comfort in terms of safety, having a hard surface overhead and a door that locks. Lindsey (from Australia, owning an Avan Weekender teardrop) states: "I do a lot of solo camping so I need something that I can do on my own but still have all the comfort and a little security - was once trampled on in a tent by a herd of cows that totally ransacked our camp - scared me a little to think how lucky (was me and my son at the time) that the cows missed our legs and body but destroyed the tent." 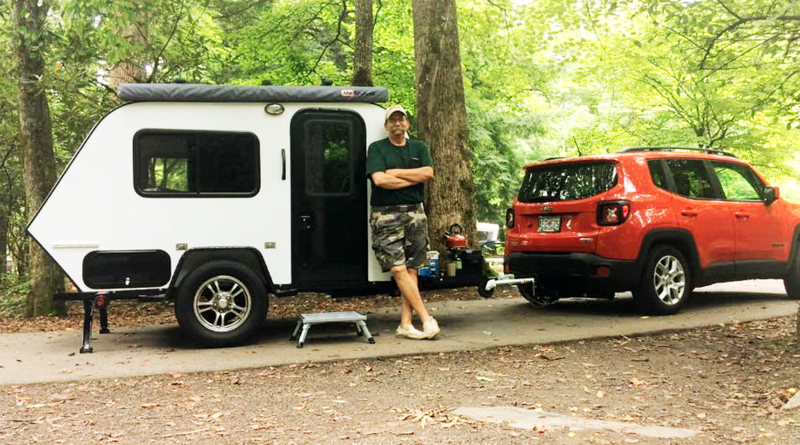 Jim from South Carolina provided an additional wrinkle to safety: "My primary reason for buying our teardrop (RTTC Grizzly) is for something to bugout in if we get a major hurricane along the SC coast. I have been through a couple hurricanes and know that when the power goes out that the comforts we are used to disappear almost immediately. We desired to have a small place we could escape to that would have air conditioning and everything we might need with food, shelter and water whether we have to camp near our home or hit the road prior to the storm. 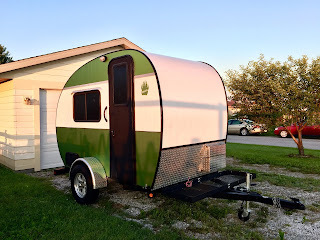 The teardrop is perfect as it is compact, easy to heat and cool, provides some safety and allows us a place to have emergency items already packed when the storm rolls in." 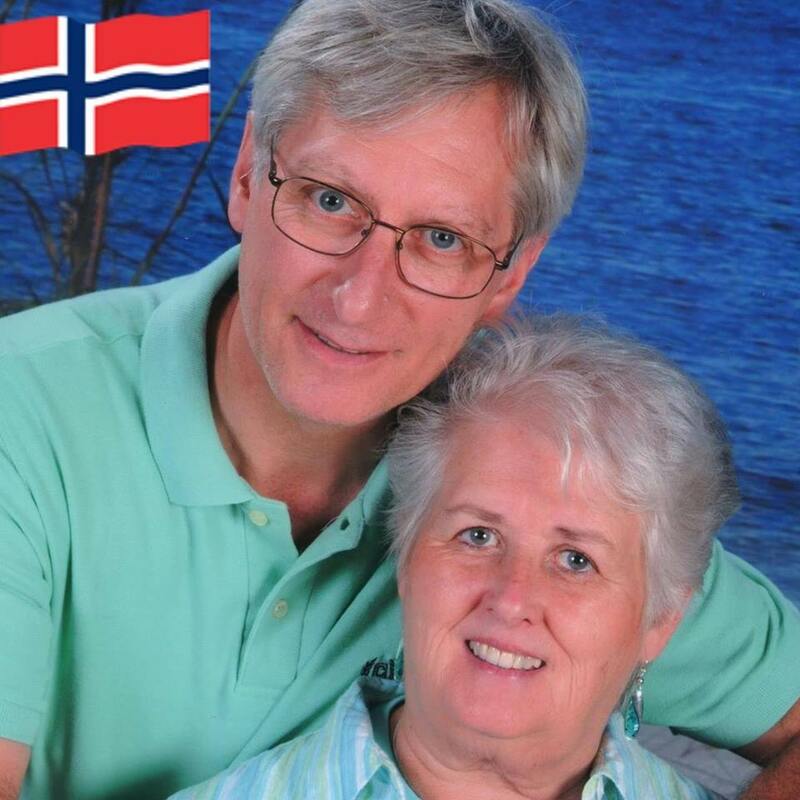 Jim's sentiments are echoed by Cheryl from North Carolina: "We had thought about that too, living on Hatteras Island. That's always a concern, and having the teardrop is much better than a motel room during recovery." Teardrops may be tiny in size, but owners say they are large providers of security. When Henry David Thoreau wrote "simplicity, simplicity, simplicity," he was harkening to his experience in his cabin at Walden Pond--or to put it another way, his tiny house . . . or his tiny trailer without wheels. 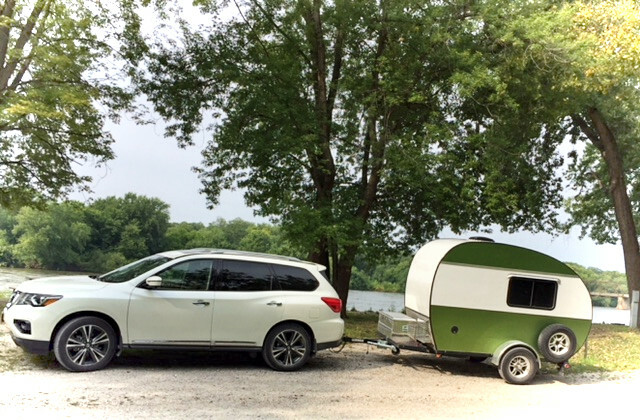 Many teardrop owners affirmed that "less is more," as Phyllis from Louisiana said, while another owner added "less maintenance than bigger rigs have." 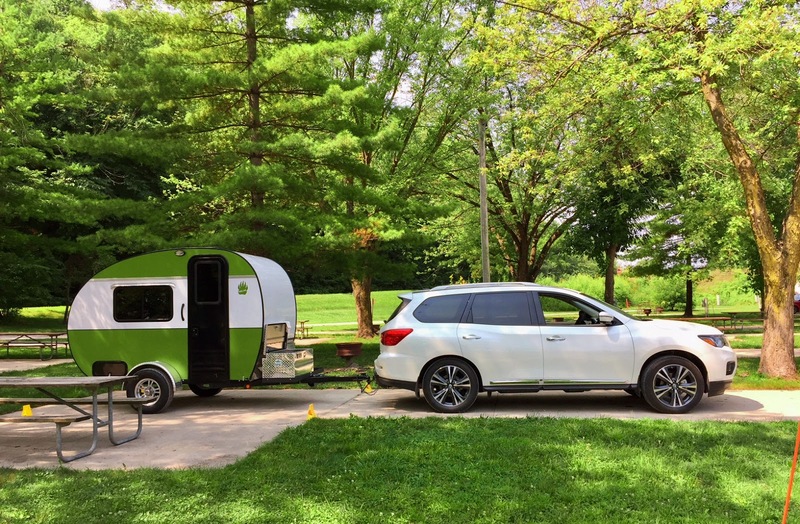 Several owners mentioned the ease of towing a teardrop and how another, larger vehicle didn't need to be purchased. One owner, Diana from Vermont, was more reflective: "Small needs, small space." 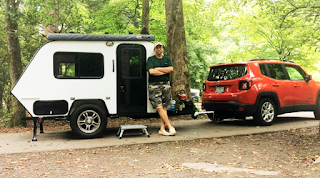 From Virginia, teardrop owner Mike covered a number of points, saying that often RV owners experience buyer's remorse after a purchase when the camper is too big and takes too much upkeep. They may feel it was too much money, and resale value may be low. A late discovery can be that they need a gas hog for the tow package. A teardrop eliminates all that . . . and also turns a lot of heads. Finally, he mentioned that teardrops, because of their low weight, can be deeded or registered as utility trailers instead of recreational vehicles, which saves big. One married couple summed up teardrops by saying they don’t want all the bells and whistles. 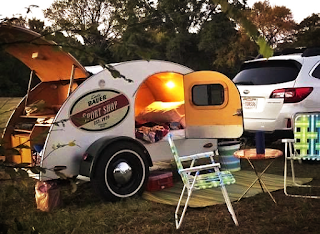 As Peggy from Florida put it, "The simplicity of my trailer is perfect for me." 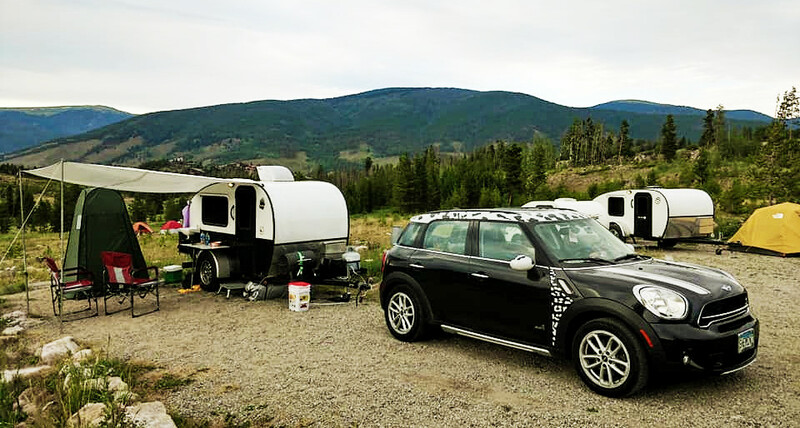 It's a lifestyle choice for many teardrop owners, the middle way between tenting in the rain and living on RV Row, hooking up your mobile apartment. Having a more stable basecamp than a tent (without having to dry out everything when you get home) yet not not having too big and cumbersome a rig is a perfect fit, as owner Jennifer says: "We love visiting Disney World and recently got back into camping. We wanted to camp more but summers in Florida just aren't great for tent camping so we decided we needed an air conditioned option. We didn't want to deal with a large camper or a pop up, and we needed to stay under 10k since this was our first really serious venture into campers, looking into smaller campers was the best option. 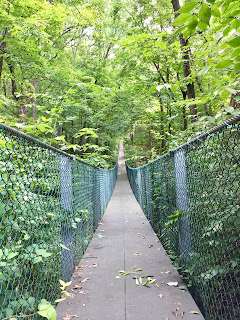 We looked at a few options and then stumbled on Rustic Trail. Loved the retro look, size, and price." Marti from West Virginia considered the big picture when searching for a camping option: "We had several bottom line requirements: be able to pull into a rest area or truck stop and just climb in (not like a pop up); pull with a 4 cylinder car; park in our house's parking area; internal storage (not with a kitchen on the back); design where we could mount solar panels and batteries; cost less than a car. RTTC met all that. We don't have the inside space that the big campers have, but a 12x12 pop up pavillion fits right outside the door. We camp to be outside, not in a traveling hotel room or suite. Maybe if I was retired and spending all my time traveling I would consider a big one...?" 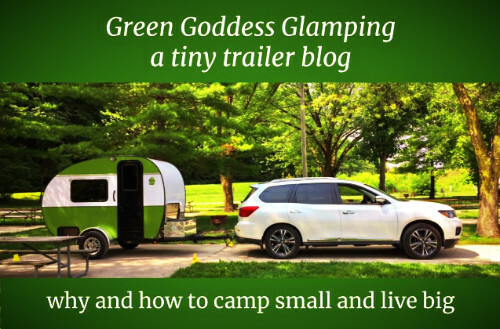 Goldilocks would own a teardrop: not too small, not too big, but just right! Or as Jean from Virginia said, "Once I thought I needed more, but after searching the soul... its not more.. just more time outside and up off the ground is the bells and whistles for us!" Cash was a factor for teardrop owners, as was the towing experience, even to be pulled by a "beetle" or a Mini Countryman. The desire to be outside while camping--but not in all types of weather, was the kicker for a lot of owners. Comfort and ease, traveling and camping in a simple, economical way, enjoying a "retro" experience, a "tiny house" version of camping--all these factors were articulated by teardrop owners. For my wife and me, we're excited to be among the elect. "Just park and a ready-made place to sleep" says Andygirl from the Antipodes. 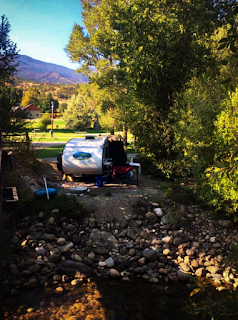 As Nancy, another owner, said, "Just add food, water and clothes and we’re on the road," and reaching your destination to camp in the mountains, streamside. I'm feelin' it, aren't you? Why Such a Tiny Little Trailer? Before I answer why we bought such a little trailer, I should first let you know that it doesn't seem so tiny to me. Prior to buying the Green Goddess, I traveled and camped with my bicycle, so the change from fifty pounds of equipment packed on my bike to a 5 x 10 teardrop is an incredible change in terms of camping. I now have more space, more equipment, and more opportunities. Most of all, though, I can now camp more with my wife. We've had some experience with camping in a tent the last two seasons. It's a beautiful tent, a Big Agnes Basecamp, a golden Taj Mahal of tents, and it provided a wonderful experience. 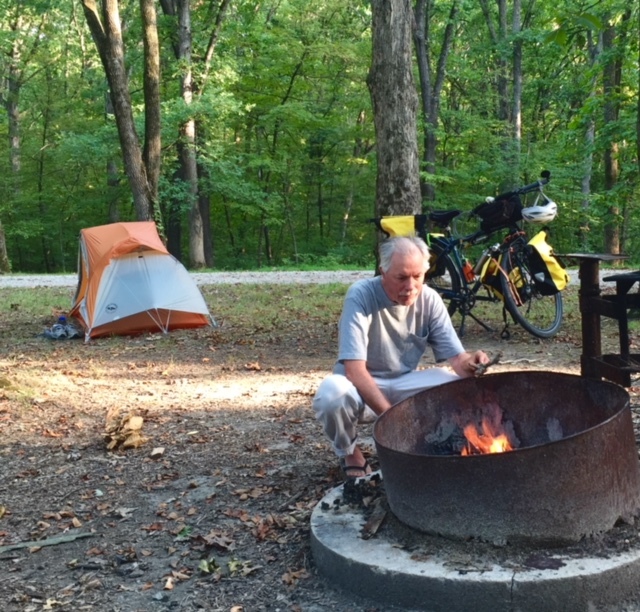 Our experience out here in SE Iowa, though, was that too many camping days are eliminated due to extreme weather--too hot, too humid, too buggy, too cold, to wet . . . too something! Coupling these extremes with my wife's consulting work (which she can do while camping if there is phone/internet connectivity . . . and the environment is conducive), made tent camping too much a dice toss for us. Mornings were usually wonderful, cool and less buggy, but summer days too often became endurance experiences of braving the heat and humidity. This was bad enough for me relaxing around camp, but it was painful for my wife who was sitting at her computer working. This was not our dream of "let's get you out of the office." Out of the frying pan and into the fire! The photo of me cooking with an insect net over my head, well, I have one of my wife working at her computer, using the net also, and although her head wasn't attacked, her hands were. Not good. We began considering a camp trailer but immediately realized from our tent camping that many campgrounds have tents . . . and then what we call "RV Row," where RVs are socked in side by side, due mostly to sewer connections. We wanted nothing to do with such close quarters; nature was removed from the experience. Such campgrounds were just transient mobile home parks. We started looking at small camp trailers, and were surprised that the market actually starts at about sixteen feet. Then I ran across the owner of a teardrop trailer, a Rustic Trail Teardrop Campers Grizzly Bear model, and the rest is history. We are now owners of the Green Goddess, an RTTC Polar Bear. We wanted a trailer small enough to fit those campground sites that aren't linked to the sewer system, sites that fit into the natural landscape, rather than bulldozed, "tract home" sites. We wanted a trailer we could pull with the vehicle we owned. We wanted a small trailer that I could tow and learn how to back more easily. We wanted a trailer that put us outside more often, where even with our "safe haven" tiny room, the outdoors campsite was still our main living space. My wife and I had read and researched quite a bit about the tiny house movement. We aren't planning on moving out of our 1,600 square-foot house, but we recognize the value of the concepts underpinning the tiny house movement: invest in time, not space; don't own so much stuff; and live in the world, not in a cubicle. (Henry David Thoreau speaks of this so eloquently in his essay "Economy.") For us, that resonance translated to buying a tiny camp trailer! Also, it's cute . . . that's the one word that repeatedly is used to describe the trailer. I think many people are overwhelmed (or underwhelmed) by the 30- 40-foot monster RVs that are pulled down the road and then parked on RV Row. The Green Goddess doesn't invade anyone's space. It only weighs 1,450 pounds empty and leaves a light footprint upon the earth, or lighter, anyway. So that's why we bought the Green Goddess. Now Sandy and I can toast bread over the fire on those cool mornings, having enjoyed a good night's sleep in our bed. Setting up and breaking camp is easier, and our little safe haven/mobile office teardrop trailer is always waiting for another adventure.